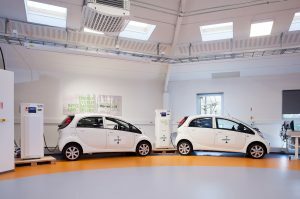 How can we turn vehicle-to-grid (V2G) into a viable business? Replicability and scalability is part of the solution, and thereby also the name of one of the three pillars, on which the project, Parker, is founded. The primary focus of this pillar is to prove that the results from Parker can be generated again and again – and on a larger scale – thus turning V2G into a viable business. The goal of Parker is among other things to define, how we can make V2G scalable and replicable, so it’s possible to make a valid business out of V2G in the future. Here, it is a matter of 1) demonstrating that V2G can happen on a larger scale, and that money can be earned on it, which requires proof of business, and 2) showcasing that it is possible and that even with several cars and several aggregators competing on the market, the business model will still hold up. 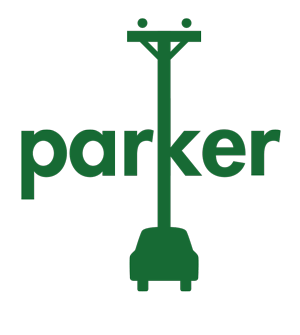 To do so, Parker is applying grid-balancing services to a fleet of electric vehicles with the goal of demonstrating these vehicles’ potential to support the electricity grid as power resources. However, this doesn’t carry much weight, if it only works within the framework of the project, so the ambition is to pave the way for a global rollout of V2G. Consequently, part of the project’s work is to make sure results are replicable and scalable. “If we want to make a difference in the future and take V2G to the next level, we must develop a framework that makes it possible to apply the technology and solutions again and again – only in that way, can V2G become a viable business and move from test to implementation”, says Jens Christian Morell Lodberg Høj from Insero, who is responsible for the replicability and scalability pillar in the project. Replicability is about ensuring that it is possible to do V2G repeatedly with different cars and different setups in different countries. Scalability is about being capable of going from the 10+ cars the project has access to at Frederiksberg Forsyning, to being able to control and contribute to the electric grid with even more cars – and thus create a business out of it. The unique thing about Parker is how the work is being carried out. On the one hand, real life tests are taking place at Frederiksberg Forsyning, where Parker partner, Nuvve, is aggregating cars using V2G, and showing that it can be done. On the other hand, the Replicability and Scalability pillar is comparing the results from the real life tests to theoretical calculations. “We’re setting up theoretical calculations to showcase that we can calculate on different business models, different approaches and different bidding strategies. We’re also analyzing the value system, i.e. who will earn money on this, and why they should participate. It’s a lot of different analyses paired with the experiences from the real life testing at Frederiksberg Forsyning,” explains Jens Christian Morell Lodberg Høj. The ambition is to provide calculations of various models while also trying to prove that the calculations are correct via testing in real life. By comparing the results, Parker is trying to showcase that if the scenario is scaled up, this is something that can be trusted – and that we can actually expect it to happen if executed the same way. Parker is among other things carrying out an analysis to determine some of the challenges associated with a rollout of V2G. But when applying a helicopter view, the main challenges of replicability are about harmonizing standards and about ensuring that enough vehicles will bid into the market with sufficient capacity. To deliver into the market, the bid needs to be above a minimum threshold. Consequently, there’s a need for available capacity – and certainty that this capacity is in fact available. When it comes to scalability, the main challenges relate to the market development of electric vehicles, and thus also the further development of V2G technology and the business models for this. There is a need for V2G compatible cars and chargers, and these are only available to a limited degree on the market today. The challenges exist both on a political level, an economical level and a societal level, because it’s about people, technology and legislation. To address the aforementioned challenges and accelerate the rollout of V2G, the project is collaborating with car manufacturers to showcase that V2G is going to happen, and that it should be implemented in future electric vehicles, as it has the potential to create interesting businesses. However, focus is not only on car manufacturers, but also on politics. ”With the current state of things, there are some limitations to the market that are driven by legislation. The way to change legislation is politics – and the way to get more cars on the roads is by incentives. Therefore, in this project, politics has a central focus,” says Jens Christian Morell Lodberg Høj.